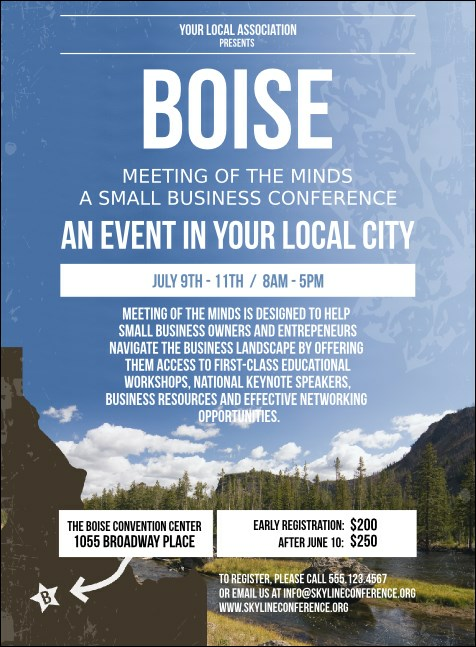 Start your event prep on the right foot with the Boise Invitation. Guests will appreciate the natural beauty Boise has to offer with a beautiful blue sky over the foothills and pines along the Boise River. Whether you're hosting a small concert at the Egyptian Theatre or a big Basque celebration, order the Matching Event Kit to design a truly unique Boise experience.